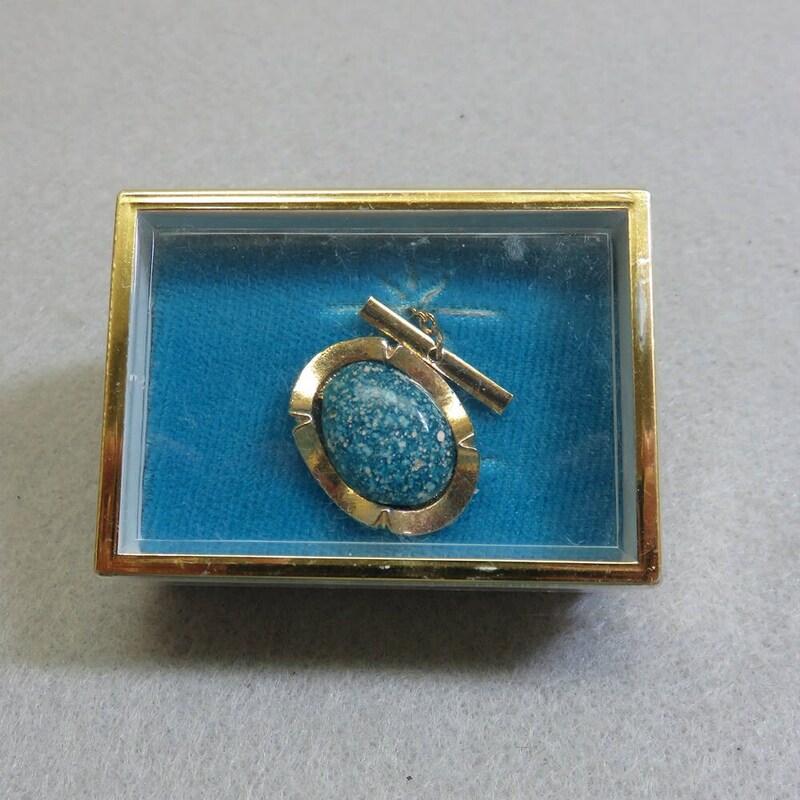 This vintage tie tack features a polished piece of teal blue stone with speckles of tan in it. It is nicely sized at 3/4 inch tall and 1 inch wide. It comes with a tack safety backing and button hole bar and I don't see any maker's markings. It is in Mint condition in its original box. It has never been worn.